I stumbled across the website, WhatsMyFarmWorth.com when I was searching for information online about rental rates for farms. I was hoping this website would provide useful information for landowners and renters to utilize when setting rental rates. Unfortunately, the rent and land-use values must take into account the years of high commodity prices and just aren’t realistic for today’s market. 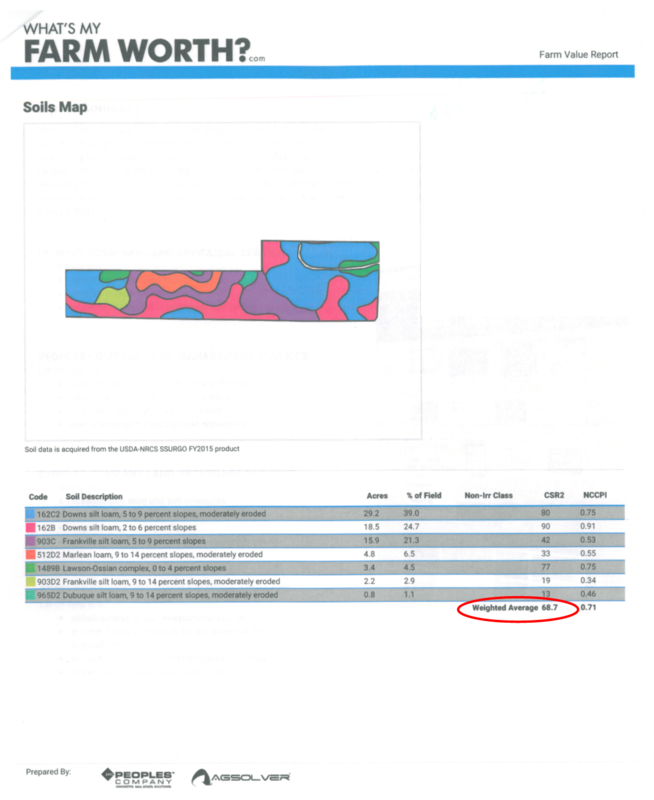 However, I did find out that the website does calculate a weighted average CSR and provides a soils map. You just simply zoom into the area of interest and click on all the parcels until you have all the ones highlighted that you want. They do ask for your email address, but you are not required to have the report emailed to you. 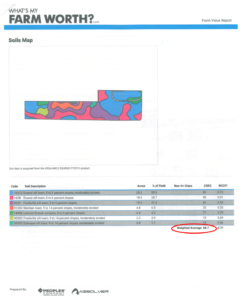 The resulting report provides a basic soils map that shows the weighted average CSR. So, if you are ever interested in a CSR on your property or a property you are considering renting or buying, here is one option for you. The calculated value from the report is very close to value that the NRCS program generates. This website is much easier than using the Web Soil Survey to do you own weighted average CSR calculation, however it does not provide the wealth of soils information that the Web Soil Survey provides.